Recover a bit with a game of bingo at Sun Bingo and get a share of 5,000 GBP that they are giving away. This time of the year we are all recovering from the money we spent over the holidays. Plus the drinking that happened during New Years. You have a shot at getting a share of this 5,000 GBP by playing at Sun Bingo. Ten people are going to get 500 pounds each. That’s a nice start in getting those bills paid off that you ran up! The tickets for bingo are going to come to you if you spend two pounds on bingo games and ten on those slots. Each time you do that you will get a chance to win one of those prizes. So playing more is highly suggested so you have more chances at that 500 GBP. The points are going to be added up between the 4th and the 10th of January. Remember the more you play the more chances you will have. The drawing for the winning players is going to be in the chat rooms on Monday the 11th. So be ready and be there at Sun Bingo between 8pm and 9pm that day to hear if you’re a winner or not! 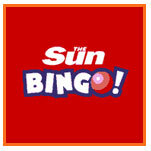 Sun Bingo is a fabulous UK bingo site for many other promotions so be sure to check them out. Head over to their site today and go to the promotions page to find out the daily promotions that go on all the time! The news column is supported by Lucky Room: The site with top online casinos and top online poker rooms.